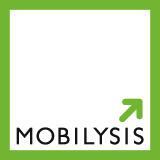 Welcome to Mobilysis. Our Ada Saas (Software as a Service) mobile engagement platform gives you power tools for mobile engagement. With Ada, you can engage your customers, move the needle, and generate sales and profits quickly and easily. No nonsense, no complicated software that's hard to learn, just results. If you're interested in really making a difference for your business, give us a call or contact us. The customer journey is mobile. With Ada, you can create and distribute mobile ad campaigns and dedicated mobile landing pages with offers, promotions, surveys and activation tools. Ada enables you to observe, analyze and evaluate your customers' behavior to understand the value they are able to generate. Ada is powered by Artificial Intelligence, putting advanced mobile marketing tools at your fingertips. Grow your business with our Business Partner program, the solution designed for ad agencies, web agencies, marketers and sole proprietors who seek to transform business using mobile marketing. Mobilysis is bringing Ada to market and offering it to our clients to drive their businesses. Interested in becoming a reseller or finding out more? Give us a call or contact us.